Antique shops sell, as you would suspect, antiques and such is very acceptable, however sometimes these antiques are comparably much more ancient than one would imagine, and the other day I was met by an array of Roman archaeology, amongst other things, for sale. On the one hand I think it’s a good opportunity for anyone (with the cash) to get their hands on a little piece of history, a chance to own, hold and cherish their very own Roman artefact. Given my interests I can certainly sympathise with any Roman enthusiast. Furthermore logic would suggest those private collectors that are willing to part with money to own such pieces are going to appreciate it, at least more so than it would be if it were to be stored away in the bowels of museum with a 101 other examples of the same thing. Nevertheless there are plenty of community museums that could greatly improve their displays and handling collections with such rings, glass vessels and oil lamps. Where, when displayed in these museums, more people would able to view, and enjoy such items. Is it selfish to want private collections? The other major issue with ancient artefacts for sale is the issue of their provenance: Most of the time they have none, and when they do, can you really trust it? 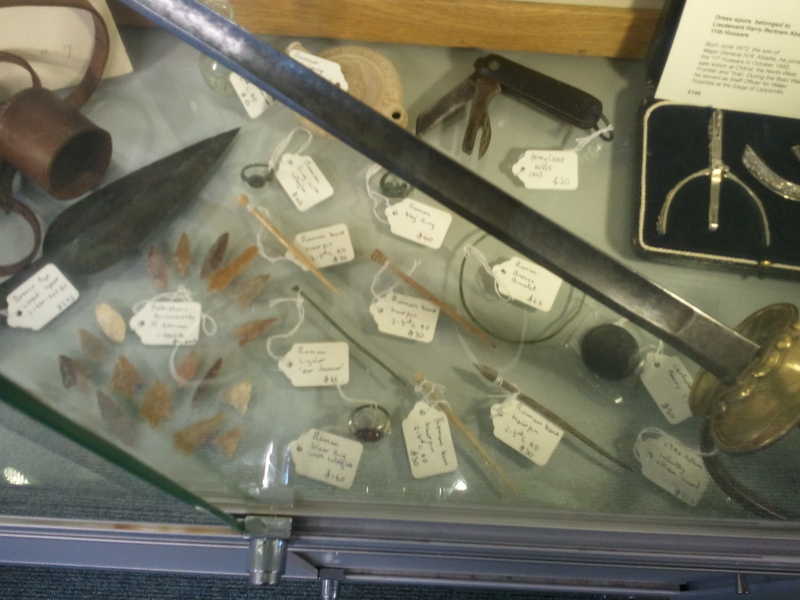 Indeed for historians, archaeologists and museum professionals the provenance is often what gives these items their importance but when they are put up for sale this history and potential significance is lost. A bit of gold is replaceable however knowledge is not. Fortunately in Britain we have the Portable Antiquities Scheme which identifies and records historical artefacts but does not retain them, so such context of private collections is not lost to the world, but when you are faced with such artefacts in a shop you simply cannot know its history, whether it has been recorded, or even whether its legal. Nevertheless when I see antiquities I’m torn, I want to buy them but I can never make up my mind whether I should.